Each day, WordPress allows me to see how many views/visitors my site receives each day. It also categorizes these views by country, by post, by referrer (other sites with link to my blog), and more. One of my favorite statistics to look at is the “search engine” results. Wordpress lists the words that were searched that somehow led people to my blog. It’s interesting to see what words eventually direct people to my site! One of the most commonly searched words I see on my site is “London Broil.” Apparently many of you out there are searching for London broil recipes, and it’s leading you here to Normal Cooking! 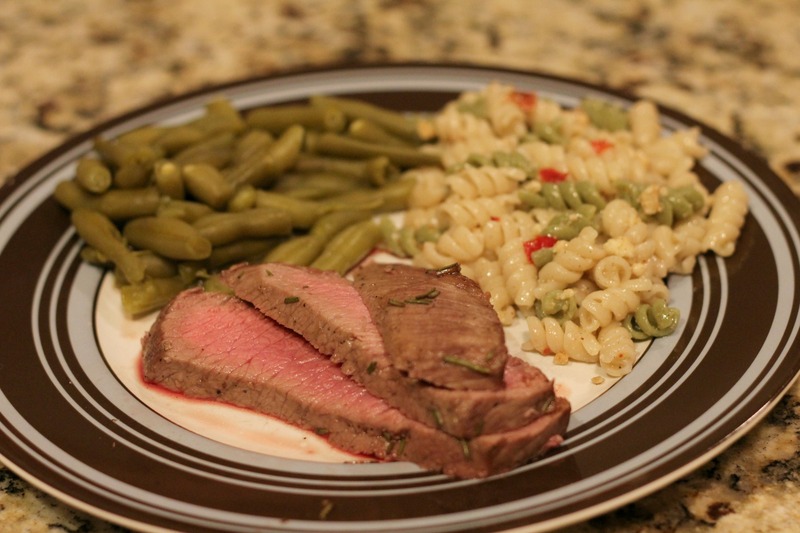 So, I thought I’d give the people what they want: a tasty way to prepare London Broil. 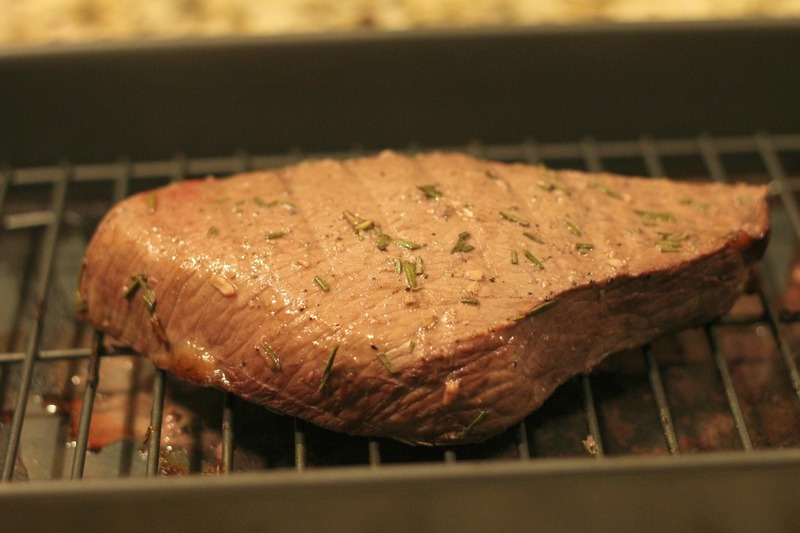 Did you know that London Broil is not actually a specific cut of meat, but it actually refers to a method of cooking? London Broil is usually a flank steak or a top round steak. The meat is broiled at a very high heat and then cut into thin strips. And ta-da! You have a London Broil! What I like about this dish is how super-simple it is. Really, all you have to do is remember to put it in the marinade the night before so it can be nice and flavorful! Combine all ingredients in a large Ziploc; marinate overnight or up to 24 hours. Remove from marinade; broil about 6 minutes on each side, or until desired doneness. Let meat rest & slice across the grain.